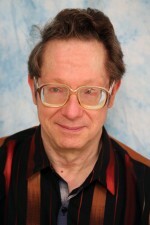 My research interests are in sensors and their application in robotics, medical instrumentation, and industrial process control. I maintain the non-student RI email distribution lists, RI doorlabels – NSH and EDSH – and the RI printed directories in NSH. In addition, I handle non-computing equipment DMA procedures. Furthermore, I provide consulting, prototyping, and information technology to various labs and projects as requested. 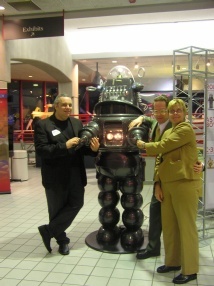 Here’s a picture of me and Robby the Robot from the Forbidden Planet movie (1957) at the second annual Robot Hall of Fame induction ceremony, Oct 11, 2004.